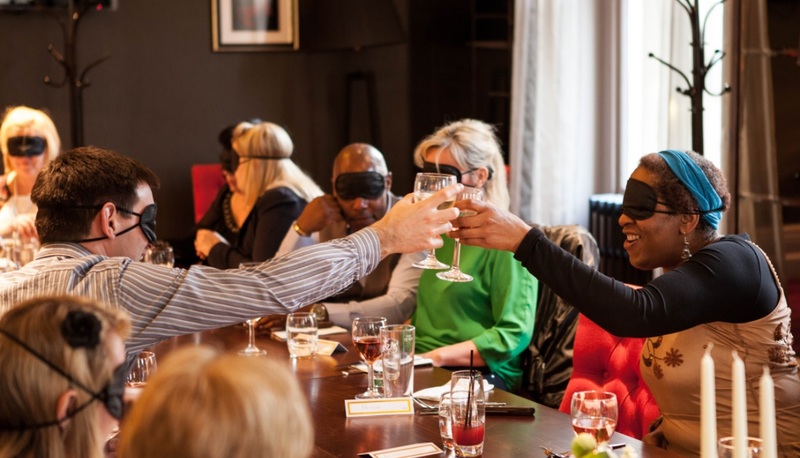 Miller and Carter Steakhouse in Bath teamed up with young local entrepreneur, Daniel Williams, to host a sensational ‘Dining in the Dark’ experience, where all diners were blindfolded for the duration of the event so they could understand the challenges of having a visual impairment. Daniel, who is visually impaired himself, also aimed to dispel preconceptions and assumptions that many have when meeting people for the first time. Inspirational Daniel Williams, 23, celebrated the 1-year anniversary of his business Visualise Training and Consultancy. The company, which Daniel established with help from The Prince’s Trust, delivers visual impairment awareness training, premises accessibility checks, work place assessments, motivational speaking and a mystery shopper service provided by visually impaired shoppers. Miller and Carter, one of the sponsors of the event kindly provided a 3 course meal to all diners, free of charge as a donation to The Prince’s Trust. The staff also attended one of Daniel’s training days to raise their awareness of how they can support visually impaired customers. Flowers By Design, who also sponsored the event donated scented flower arrangements for each table, to enhance the sense of smell. When he was young Daniel was diagnosed with Retinitis Pigmentosa, a hereditary condition that causes gradual vision loss. Daniel was bullied at school, and struggled to hold down a job after experiencing negativity from some employers who thought he was less capable because of his condition. Daniel decided he wanted to set up a company to improve organisations’ awareness, knowledge and confidence when working with a person with a visual impairment. Daniel signed up to The Prince’s Trust Enterprise programme and received a business mentor, training and advice to aid him on his venture. Thanks to the support he received from The Trust, Daniel was able to establish Visualise Training and Consultancy and has delivered training to a number of businesses including Welsh Water, Jobcentre Plus and the Hereford Housing Association. 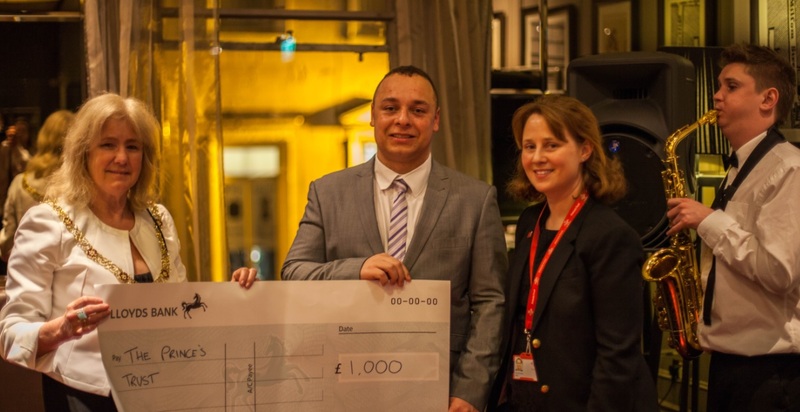 Miller and Carter General Manager Lisa Johnston said: “It was an amazing night for a really worthy cause. It was great to see everyone fully get into the spirit of the event! Diners at the event enjoyed entertainment from Guernsey-based blind musician, Breton Smeed, who wowed the audience with his jazz influenced performance. All proceeds from ticket sales for the dinner were donated to The Prince’s Trust charity, who support young people like Daniel to move into work, education or training. The event hosted 33 diners from various different organisations. At the beginning of the night the diners were blind folded and guided up stairs from the Waiting Staff who received training from Daniel. They were then seated and enjoyed a 3 course meal, inspirational speeches, a raffle, live entertainment and an auction.